The purpose of Golden LEAF is to fund projects that promise to bring significant economic improvement to the tobacco-dependent, economically distressed, and/or rural communities of North Carolina. The Golden LEAF Foundation is committed to using the funds entrusted to it for projects that show the most potential for strengthening North Carolinas long-term economy, especially in tobacco-dependent, economically distressed, and/or rural communities. Golden LEAF currently has two programs open to eligible entities seeking grants. These programs complement other ongoing initiatives of the Foundation: (1) The Open Grants Program and (2) The Economic Catalyst Cycle. The Open Grants Program The Open Grants Program places high priority on the areas of agriculture, job creation and retention and workforce preparedness. Other projects that focus on other opportunities to support and develop economic strength in tobacco-dependent, economically distressed and/or rural communities are also welcomed. In light of the economic downturn, Golden LEAF will be looking for opportunities to complement and leverage federal and state stimulus programs to increase the impact of its grantmaking on targeted communities. The Open Grants Program replaces the former Golden LEAF Annual Grants Cycle. This program will make it easier for applicants to submit proposals to Golden LEAF and make funding opportunities available throughout the year. The Economic Catalyst Cycle is a program that focuses on job creation and/or retention projects associated with business locations or expansions in North Carolina that are at risk without participation from Golden LEAF. Projects submitted by eligible entities must meet specific criteria to be considered for funding. Project requests in this category must be for job creation. The projects must be AT RISK without Golden LEAF participation. Projects are determined to be "At Risk" based on a number of factors including: evidence of urgency for assistance necessary to facilitate job creation, demonstrable need, the county's ability to pay, competitive sites in other states being considered, and others. Grants are available for projects that include the creation of full-time equivalent positions (FTE) in NC. Project support will be determined by considering a number of factors including: the county's tier designation status as published by the NC Department of Commerce, the number of jobs created, and the quality of jobs. Economic Catalyst proposals may be submitted throughout the year and will be presented to the Golden LEAF Foundation Board at the next regularly scheduled meeting that is not less than six weeks after submission of the completed proposal. Letters of Intent for 2018 for the Open Grants Program are to be submitted by February 22 and April 26, 2018. A similar window is anticipated in 2019. Award amounts vary. There is no minimum grant amount. 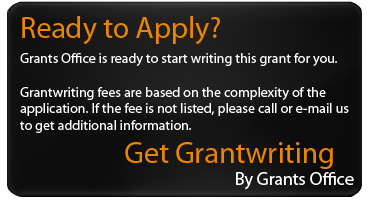 In the Open Grants Program, grants are not expected to exceed $200,000. There are no maximum grant amounts in the Economic Catalyst program.